With both championships locked up and only minor placings to fight for, the championship finale was a chance for everyone to let their hair down and go hell for leather in search of a result with nothing to lose. Sadly just a few were brave enough to make bold moves on the track and on strategy. The Frenchman wanted to end his Lotus career on a high after a solid season, in the hunt for 10th in the final standings. Saturday put a real dampener on his hopes of beating Nico Hülkenberg and Max Verstappen in the championship fight, as a gearbox issue forced him to crawl to a stop on the back straight, stranded in 15th when he had an outside shot of making the pole position shootout. A real testament to Grosjean’s performance this season is that his mechanical failure ensured that Pastor Maldonado beat his teammate in qualifying for just the second time all season, though reliability has been a concern for both all year long. To add insult to injury, Grosjean unsurprisingly had to take a five place penalty for a gearbox change, sending the Frenchman to the very back of the grid. 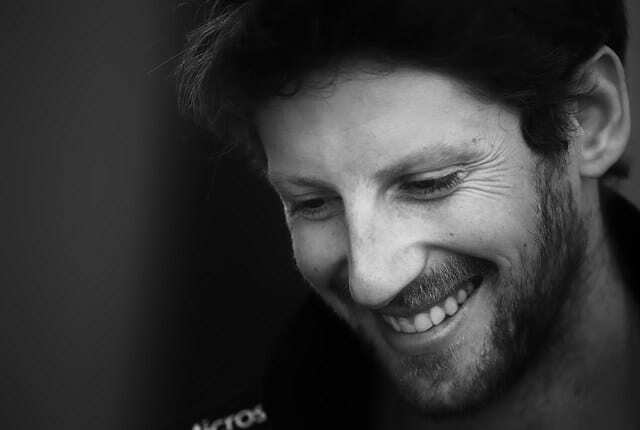 With nothing to lose, Grosjean resorted to an alternate strategy, starting on the soft tyres and looking to run the options on a short final stint, when the track would be at its quickest and the tyres would last the longest. Grosjean picked his way through the turn one melee to run 15th at the end of lap one, and was then able to work up through the midfield as their super soft tyres went off after just a few laps. When Daniil Kvyat triggered the first round of stops looking for an undercut, the Frenchman was already up to 13th after six laps and now had track position and clear air to run his harder tyres. Grosjean ran fifth for much of the rest of the stint, although was passed by Sergio Pérez before he stopped, fitting the softs once again. Now on the same tyre as everyone but a much younger set of prime tyres, Grosjean could make hay, climbing back up to seventh before swapping to the supersofts for a 12 lap sprint to the line. The final stint brought some well-deserved points as Grosjean caught and passed Carlos Sainz Jr and Daniil Kvyat with ease, and with more grip was even able to mount an attack on Nico Hülkenberg. 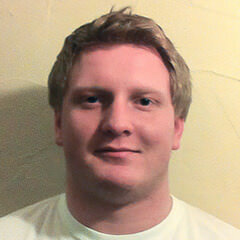 Unfortunately, he ran out of laps, finishing 2.5 seconds behind and had to settle for ninth. Now he can look forward to a season with new boys Haas after a strong campaign hindered by unreliability and lack of investment in the Lotus team. Along with Grosjean, a real contender for star of the season has to be Sergio Pérez. Since the ‘B’ spec car finally arrived in midseason at the British Grand Prix, the Mexican has clearly upped his game and had his Force India fighting up at the front. While Hülkenberg may have fallen off form, and possibly even out of love with F1, I think that it’s clear that the new car suited Pérez's driving style more and Nico will now have the offseason and testing to adapt. That said, Sergio has scored 63 of his 78 points in the last nine races of the season, more than both Williams drivers (Bottas scored 59, Massa 47) and beaten only by the Mercedes, Ferraris and Daniil Kvyat since Hungary. 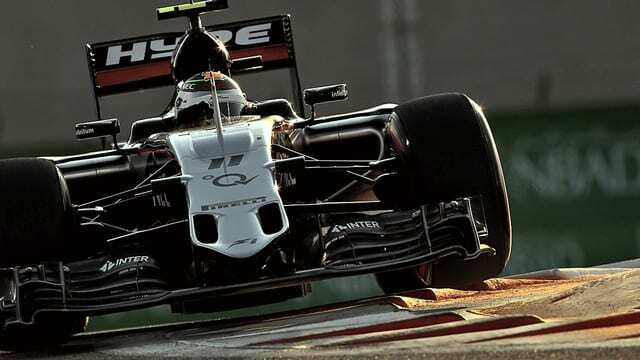 Once again Pérez was right on the money in Abu Dhabi, as the track suited Force India, especially with a long back straight for the Mercedes power unit to stretch its legs. Pérez was in the top 10 all weekend, beaten by Hülkenberg only in P1, where he was eighth, before running consistently in the top five in a dog fight with Ferrari for best of the rest, beating them in P2 and splitting them in P3. In qualifying Pérez wasn’t going to miss out on a great opportunity, fastest behind the Mercedes where Sebastian Vettel’s elimination meant a great shot at the second row of the grid. On a good day for Force India with both drivers in Q3, Pérez made the top 10 with a second to spare, then posted the third best time on the early runs in Q3 but he couldn’t match Räikkönen’s riposte, lining up fourth, comfortably ahead of Ricciardo, Bottas and teammate Hülkenberg. Pérez made a good start and was looking to gain places but was driving into a wedge at the first corner, looking down the inside of Räikkönen and Hamilton. Having had to back out, he maintained the position and was forced into rather a virtual race against Sebastian Vettel charging through the field. The Mexican also had to be wary of attack from behind, pitting early on lap seven in a successful bid to maintain position. In a racelong battle with Ricciardo, Pérez always had the power on the straight to defend against the Red Bull, and was ahead of Sebastian Vettel when he came out after his first and then second stops, but the German’s final stint on fresher, softer rubber was just too much to resist, leaving Perez to fend off Ricciardo for fifth, doing so by just over a second having been seemingly attached by a string throughout the race. Red Bull won’t need to investigate Force India’s aerodynamics in the offseason, they have an eye-witness account from their number one driver to rely on. Speaking of Red Bull’s latest Australian, he deserves credit for a tenacious drive to round off a difficult season, having been narrowly beaten by his young teammate Daniil Kvyat by three points. However Ricciardo was by far the stronger driver in the Middle East, consistently ahead of his teammate, qualifying in fifth ahead of Valtteri Bottas and Nico Hülkenberg, as Kvyat scraped into Q3 and could only manage ninth on the grid. In the race, Ricciardo ran the conventional strategy of supersoft-soft-soft. Having lost out to Hülkenberg at the start, the Aussie had to be bold and pitted on lap six, knowing that Force India couldn’t pit both cars on the same lap. 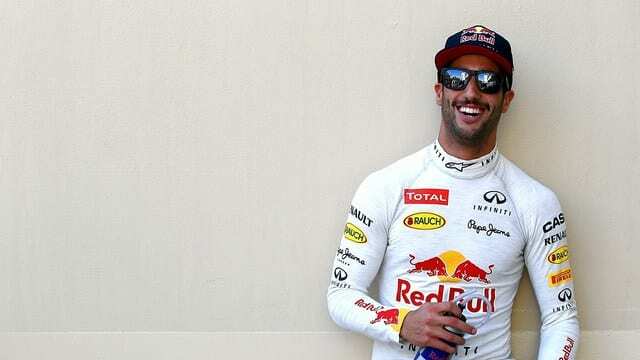 Ricciardo came out in seventh, behind Vettel and Grosjean but did jump Hülkenberg and set off in pursuit of Pérez, maintaining the gap at around five seconds over the course of the second stint and closing the gap rapidly through the third. Despite sitting on Pérez’s tail or much of the second half of the race, he couldn’t find a way past as Pérez’s pulled away down the long straights of the Yas Marina circuit.